I absolutely adore the holidays, and these frosted eggnog sugar cookies are one way to make the season even sweeter! 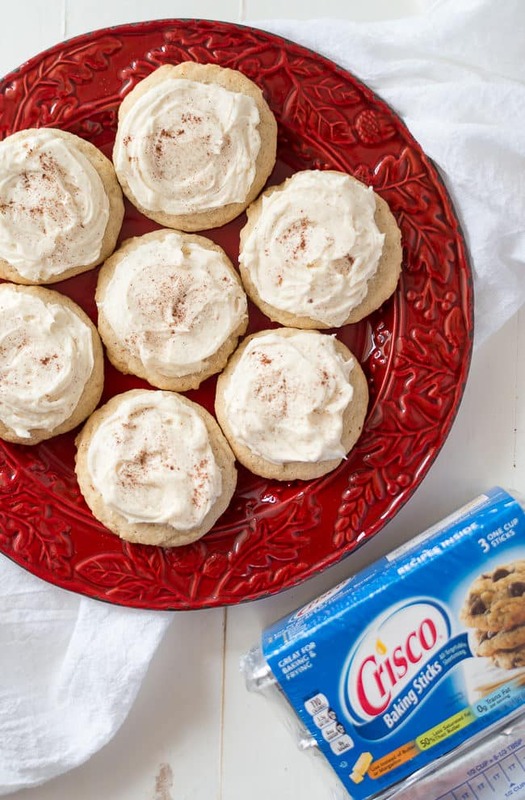 I’m teaming up with Crisco®, as a Crisco Creator, to help inspire home cooks with new recipe ideas (like these incredible holiday cookies). and cooking and baking tips using Crisco® products. 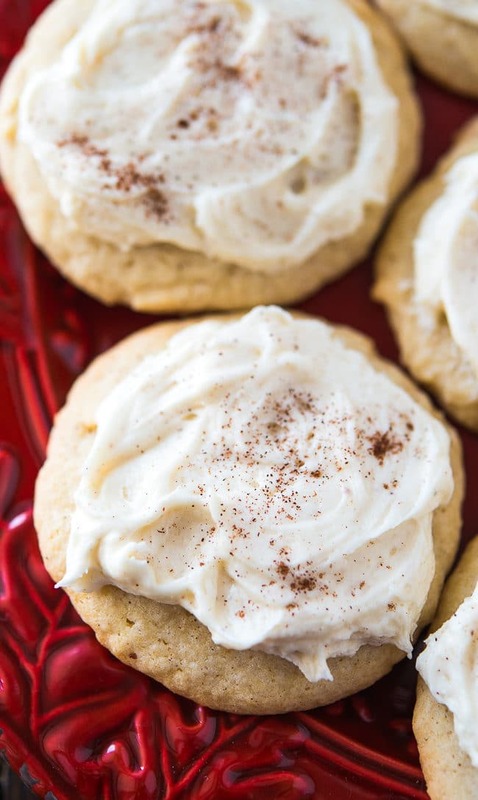 My frosted eggnog sugar cookies are a holiday tradition in our family, and whether or not you’re a fan of drinking eggnog, you’re going to love the sweet and spiced flavor of these incredible cookies. Believe it or not, I don’t typically drink eggnog, but I always buy some around the holidays just to make these festive frosted eggnog sugar cookies. Check out my video below to see how these delicious holiday cookies are made! I want to let you in on a little baking secret. Crisco® All-Vegetable Shortening is truly the secret to soft, moist and tender cookies. A few years ago I started noticing a trend with all of my favorite cookies. 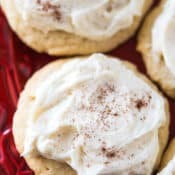 It was true, my favorite soft cookie recipes all include Crisco® All-Vegetable Shortening in the ingredient list and these delicious frosted eggnog sugar cookies are no exception. Also, did you know Crisco® shortening is a good substitute to butter for cooking and baking? It has zero grams trans-fat per serving¹. 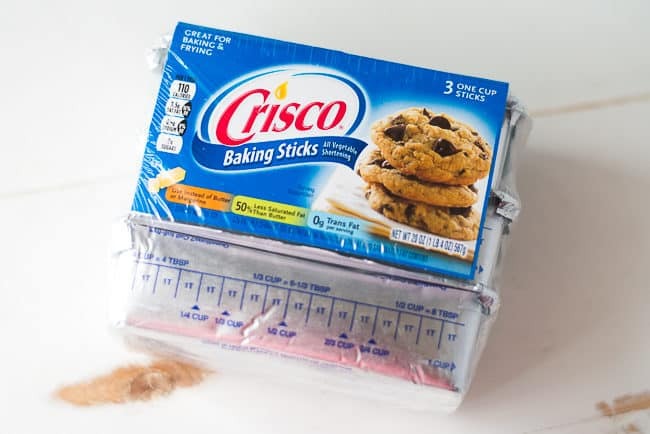 Crisco® All-Vegetable Shortening Sticks come in a no-mess, measurable package which makes them easy to use. The crown on these soft and yummy cookies is the eggnog frosting. 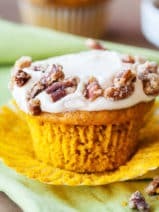 You’ll have extra frosting using the recipe below, so you’ll want to save it for the second batch of cookies. I usually make a whole bunch of these frosted eggnog sugar cookies and pop extras into the freezer, unfrosted. 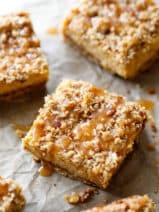 They are easy to thaw and frost for those times when you need to take a plate of cookies to a work or school event during the holidays. Top the cookies with just a little sprinkle of cinnamon and they are truly the perfect cookies. 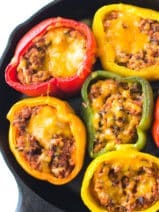 They will melt in your mouth! I have to admit that the holiday season is my favorite time of the whole year. Even through all of the hustle and bustle, you can’t beat those special holiday moments with family and friends. 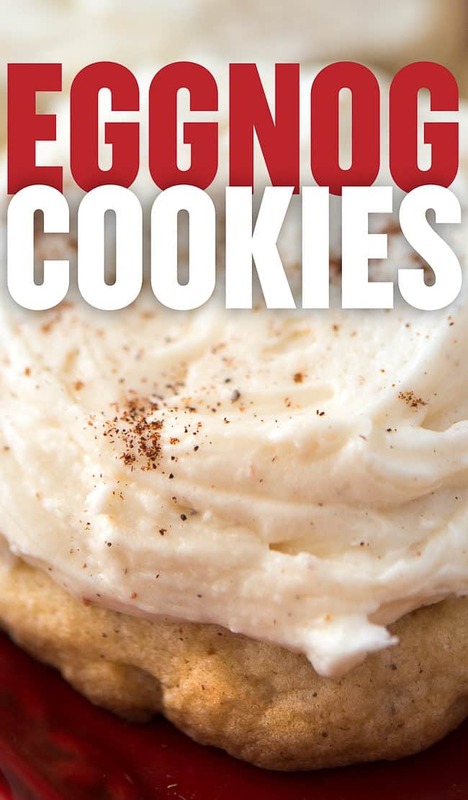 Cozying up with a good book and one of these amazing frosted eggnog sugar cookies is my idea of a perfect holiday evening. 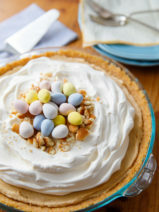 Visit Crisco.com to find sweet and savory recipe ideas to help inspire you in the kitchen! You can also search #CriscoCreators on social media to see what my fellow Crisco Creators have been cooking and baking this summer. ¹See nutrition information for fat and saturated fat content. As a participant of a Crisco® Ambassador Program, I’ve received compensation for my time and product samples for review purposes. Opinions are my own. In a medium bowl, cream together the butter, sugar, Crisco® shortening and vanilla. Beat in eggs one at a time. In a separate bowl, sift together the flour, baking powder, salt, nutmeg and cinnamon. Gradually stir into creamed mixture. Cover and refrigerate at least 1 hour. 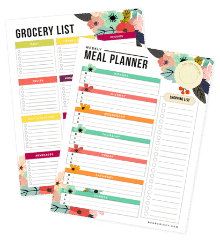 Drop by heaping spoonfuls onto a cookie sheet. (Refrigerate dough between batches) Bake for 8-10 minutes, until lightly browned. Frost cooled cookies with eggnog frosting. Cream butter until smooth using a mixer. Add eggnog, salt, vanilla, nutmeg, combine. 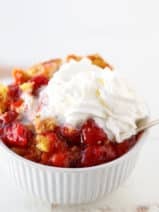 Add powdered sugar one cup at a time until desired consistency is reached. I prefer a stiffer frosting, so I used about 6 cups.